An Alberta Indigenous group is optimistic about its chances of one day owning the Trans Mountain oil pipeline after a private meeting with the federal finance minister on Wednesday. The federal government bought the existing pipeline and related infrastructure for $4.5 billion last summer. Constructing the expansion pipeline could cost more than $7 billion. 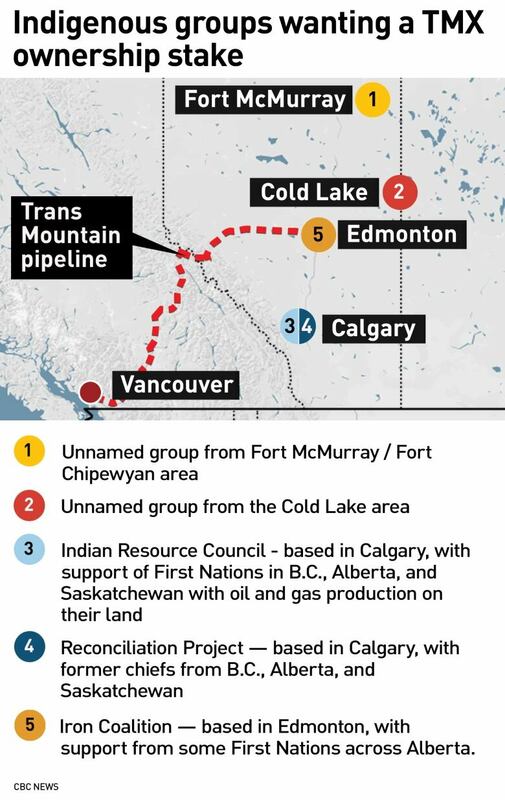 A few months ago, two different Indigenous groups were pushing for a stake in the pipeline. However, CBC News has learned that number has now grown to at least five. Bill Morneau met with First Nation chiefs from only one group — Iron Coalition — which has incorporated and has support from different First Nations and Métis throughout the province. “It was a good discussion,” said Alexis Nakota Sioux Nation Chief Tony Alexis, whose community is located 90 km northwest of Edmonton. The group is co-chaired by Alexis, Chief Calvin Bruneau of the Papaschase First Nation in Edmonton, and Ron Quintal, president of the Fort McKay Métis, located 60 km north of Fort McMurray. The talks were described as preliminary and were not a negotiation. The federal government has been clear it does not want to sell the project until the pipeline is constructed to ensure it is completed. Morneau said his focus is not on selling the pipeline right now. Instead, the focus is on moving the project forward. 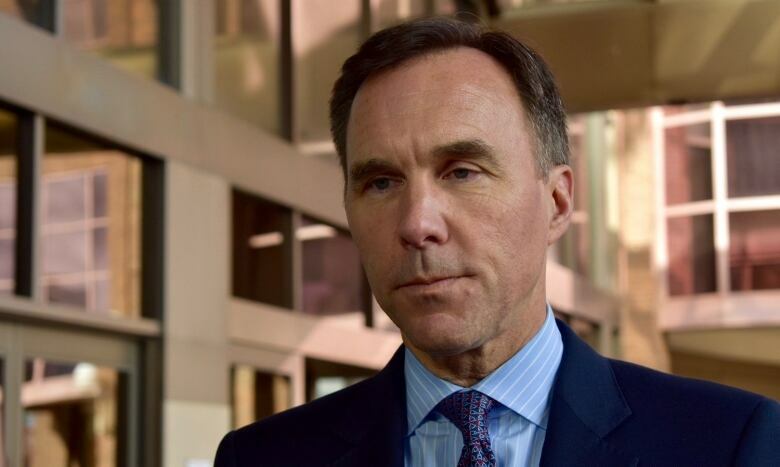 “Any group that is interested in the Trans Mountain pipeline can be doing whatever they see fit from their perspective,” Morneau said in an interview, noting that the government is still in the consultation phase. “The government has not yet gotten to a decision point,” he said, adding that while the government is happy to hear about interest in the project, it’s not yet at a stage where it’s ready to talk details. For Bruneau, a meeting with the finance minister is an important step. He made sure to tell Morneau that his group wants as large of an equity stake as it can get. Earlier in the week, Bruneau and Alexis gave an update on their progress at a gathering of all Alberta First Nations in Calgary on Tuesday afternoon. There was a general consensus of support for the bid, according to Bruneau, although he said a few people had concerns questions about the ownership model and how the purchase would be financed. The proposed Trans Mountain expansion pipeline would ship oilsands crude from Edmonton to the Vancouver area for export. The project is stalled after the Federal Court of Appeal ruled in late August there needed to be more consultation with First Nations. The National Energy Board was also instructed to explore the potential environmental impacts from increased marine shipping. MPs in Ottawa must still make a decision on the NEB’s revised report, while the federal government plans to wrap up its consultation with First Nations along the pipeline route this summer. Some Indigenous leaders across Western Canada have said the project could help their communities rise out of poverty, especially remote First Nations. Bruneau said there is work to be done to talk with those First Nations about their concerns. “What we want to do is, over the next couple of years, be meeting with these groups and look at trying to unite and form one big coalition,” said Bruneau. Earlier this week, Morneau said there would be talks with Indigenous groups about possible ownership.